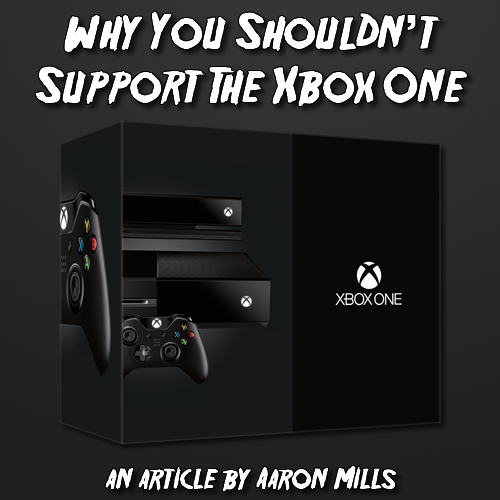 Regardless of whether or not the various stipulations Microsoft have placed on their upcoming console affect you, there are fundamental reasons as to why you should not support the Xbox One. I will explain why. Now, although I long for a world where this is no longer a problem, I feel I need to get this out of the way first and foremost: I am by no means a "PlayStation fanboy". I've had my Xbox 360 since 2006 and I love it, whereas my PS3 sits there gathering dust for the most part, and is subject to very occasional use. That said, let's talk about exactly why the Xbox One is awful. First off, the "always-on" fiasco. This is a clear example of how naïve Microsoft are, that they think we can have an entire console connected to the internet all the time (or almost all the time, since there is an arbitrary connection requirement of once every 24 hours) while not even single titles can handle always-on. Look at what happened at the launch of always-on titles like Sim City and Diablo 3. The servers could not handle having people online at all times, and so people could not play their games. Better still, no one wanted to play those games online (Diablo 3 perhaps, but the majority of players were happy with single-player), yet the publishers insisted that it was necessary. The reason it was necessary was because of DRM, digital rights management, put in place in an effort to stop people from pirating the game. Meaning those of us who don't pirate games have to suffer because of those who do. No surprise though. The fact is, the majority of the world do not have sufficient and consistent internet to require online connections in order to play games. It might seem okay to those of you who do have good internet, but in saying that and buying the console you are making Microsoft think they are okay in effectively shafting huge numbers of the world. 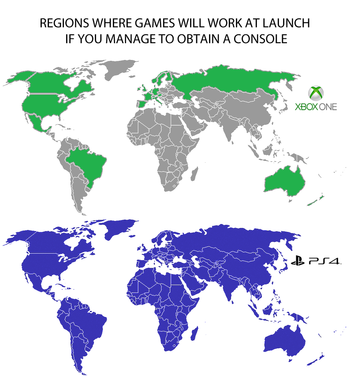 Think about it this way; because of the online policy, amongst other issues, "select countries" in Asia won't even get the Xbox One until late 2014. And of those select countries, Japan wasn't even listed. Think about that for a moment. This console is not going to Japan. The home of video games... not getting the Xbox One. Then there's the fact that Microsoft can shut down the servers at any time. Assuming their "300k cloud servers" have the supposed infinite power that they claim to have, they'll still shut down those servers one day. This means you aren't actually owning anything, you're simply using it on a timeshare. 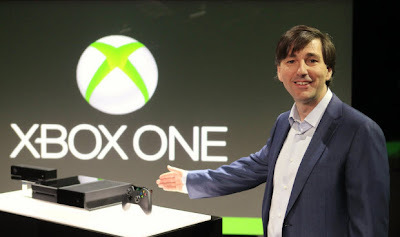 Sure, for a while it'll be wonderful and you'll have a lovely time but eventually Microsoft will stop supporting the Xbox One and you'll have the next guy knocking on your door and asking you to leave. Surely you want a console you can use forever? 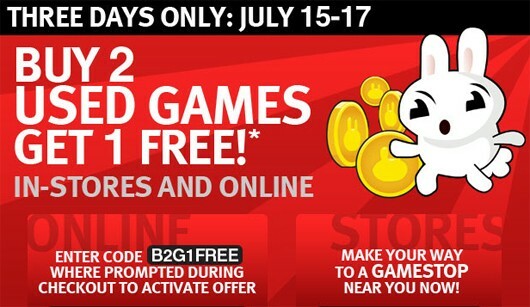 Now for the used game restrictions. I've heard a good few people saying they don't care about the restrictions on used games because they buy games new, which is fine for those who have the money to just buy every game new, but does that not mean you'll only buy the games you're absolutely certain you'll want? Meaning that you'll have a "library" of maybe 5 games a year, assuming you buy games like FIFA that are useless after a year. (Not a slight on FIFA, I'm one of those who also buys it every year). This doesn't yet even consider the fact that we still don't know what the next-gen games will cost. Amazon at one point listed FIFA 14 at £90, "just to be safe". Imagine a game costs £90, and you're going to tell me you're not at all annoyed that you can't buy a game pre-owned? Consider that amount of money. 10 games would set you back £900. That is utterly ludicrous. Now, as the introduction states, there are reasons that you shouldn't support this even if these problems don't necessarily affect you. Of course, I imagine anyone reading this is in the same sort of situation like myself where they can afford to buy games new, if they absolutely must. But what about those who can't do that? Think about when you were a kid who traded in all their old games so that they can get a new one. That market is effectively gone if you're an Xbox One user. Sure, Microsoft has their ridiculously complicated answers, such as one-time exchanges of games so long as that person is on your friends list, but just think about how many games you've borrowed from a friend so that you could try it out or play through a game you liked the look of but didn't want to spend money on. Now, that's gone. You can't lend your friend a game, because it's a one-way ticket and they can't give that game back. You can't sell or trade-in a game, because they can't sell it on, unless the system is "flexible enough" (though I want to laugh even as I say that) to work so that you can sell the game and the store can sell it once before it becomes useless, under this one-way system. This isn't an analysis of the console, so I'm not going to talk about my opinions on Kinect, or the exclusives or anything like that. This is just explaining that anyone who wants to support the games industry should not support the Xbox One. I'm not telling anyone to buy a PS4, or a Wii U.
Microsoft have treated their customers with such arrogance and contempt that it's incredible. After the Xbox reveal, an Xbox mouthpiece said that the true gamers would buy both consoles anyway, which is supposedly why their reveal focused on TV and other non-gaming additions. Then, just before their E3 conference, Don Mattrick (effectively the man in charge of the Xbox One) in an interview with Geoff Keighley was asked about those who didn't have a good enough online connection to have an Xbox One if it were to be always-on, to which he replied "We have a system for those who can't be online. It's called the Xbox 360". 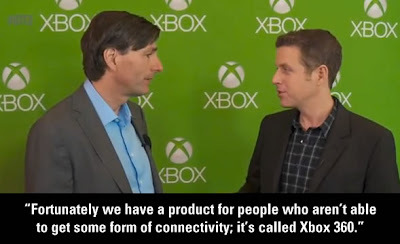 Upon Keighley asking him if he was saying that people should buy a 360 if they don't have the internet capabilities necessary for the Xbox One, Mattrick went on to talk about "a guy on a nuclear sub", suggesting that was the only sort of situation where the Xbox One was not usable. He arrogantly remarked "well if I was on a nuclear sub, I'd be disappointed too that I can't play the Xbox One". Microsoft are clearly acting with the hubris, if not sheer arrogance, that they can do whatever the hell they want, and people will buy it anyway. Which is why you shouldn't. Because by buying that console, you will be showing them that they were right, that everything I've mentioned is fine, and that they can keep on doing it, keep on extorting their consumer base, because we are clearly such mindless sheep that we'll keep buying their products regardless. Right... let me know if that sounds like a bad thing to you.